The first year of teaching has been characterized as a type of “reality shock” for many language teachers. This may be because the ideals that novice teachers formed during teacher training/education are often replaced by the reality of school life where much of their energy has shifted to learning how to adapt and survive in a new school culture. 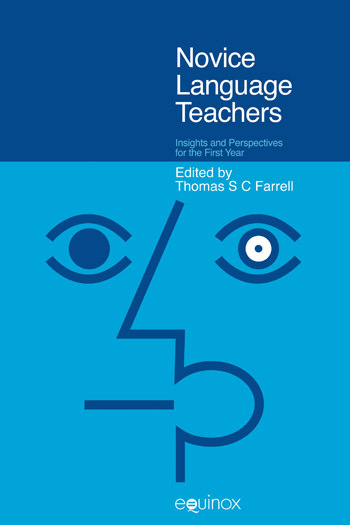 Although the first year of teaching has been well documented in general education research, not many detailed studies outlining the experiences of language teachers in their first year of teaching have been documented in the language education literature. 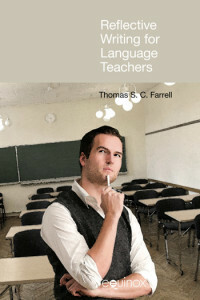 This is surprising because as some scholars have suggested, in order to establish an effective knowledge-base for second/foreign language teacher education, language teacher educators must have some understanding of schools and schooling and the social and cultural contexts in which learning how to teach takes place. The purpose of this collection is to discuss the challenges and influences novice language teachers face when teaching in their first years. The volume outlines several detailed case studies of the experiences second/foreign language teachers during their first year of teaching in such diverse contexts as the USA, Canada, Singapore, Cambodia, the UK, Italy, southern Europe, Hong Kong, and Japan. Steve Mann is an associate professor at the Centre for Applied Linguistics at the University of Warwick. He has previously lectured at both Aston University and University of Birmingham. He has experience in Hong Kong, Japan and Europe in both English Language Teaching and teacher development. He completed his PGCE at the University of Warwick in 1984 and worked in schools in England teaching English and Drama before turning to ELT in 1985. In Hong Kong, Steve worked in schools in Kowloon and Hong Kong Island in two-year British Council Teaching Scheme. In Japan, Steve worked in schools and developed specialist materials for teacher training and workplace interaction. His growing interest in the development of English in professional settings led to a two year project with American Express, Tokyo. His work at Aston University was mostly in the area of ELT Methodology. He worked at the School of Education at the University of Birmingham before coming to Warwick. This chapter describes how the process of metaphorical articulation may be an important part of coming to terms with the first year of teaching. Uses five case studies to see how this idea can be applied. This chapter is concerned with reconciling formal teacher training and actual classroom practice. It uses a case study of the experience of a Cambodian English teacher’s first year to explore the diverse issues that this teacher needed to deal and for which she had not been specifically training, including gender relations in the classroom, the management of unruly students and other topics. This chapter outlines how a first year language teacher attempted to balance a delicate, and sometimes conflicting role between learning to teach and learning to become a teacher within an established school culture. Fitting into a school’s culture can be just as difficult as facing their first group of students for novice teachers. This chapter describes how a group of Thai novice teachers faced the multifarious nature of their induction into their schools and classrooms. This chapter presents a qualitative study undertaken in a Canadian university’s C-TESL programme using qualitative, critical action research methodology. Implications for teacher training are discussed. I am Assistant Professor in the English Language Centre at Hong Kong Polytechnic University and Team Leader responsible for the Graduating Students Language Proficiency Assessment (GSLPA). I have been working in Hong Kong since 1989. In addition to working at Poly U, I have taught English in the local secondary and tertiary sectors. Between 2001 and 2005 I was Subject Officer for the Language Proficiency Assessment for Teachers (English) at the Hong Kong Examinations and Assessment Authority. I hold a PhD (with distinction) in Educational Linguistics from the University of Luton (now the University of Bedfordshire) and an MA (with distinction) in TESL from the City University of Hong Kong. Key areas: assessment design, effective feedback, research-informed teaching, SCALE-UP, Annual Learning and Teaching Conference, tutorial, internationalising the curriculum, pedagogic research and evaluation, whole course assessment. This chapter looks at the experiences of a group of native English language speakers who undertook an initial four-week teacher-training certificate for teaching English to adults. My research interests include teacher induction, the negotiation of linguistic subjectivities of pre-service and inservice teachers, writing as research, and museums as sites for unlearning colonial practices. This chapter looks at the complex relationships between language, language teaching and linguistic identities in pedagogical spaces. My UK-based evaluation/research & development experience includes: (i) access to higher education (including progression to Oxbridge from the state sector, access opportunities for refugees, part-time study, student funding and the pedagogies of higher education); (ii) dis/ability and music education; (iii) global citizenship; and (iv) educational well-being. International experience includes work in and/or with colleagues from Cambodia, Egypt, Ethiopia, India, Malawi and Vietnam. I am educational consultant to the Religion and Ethics in the Making of War and Peace Project. I founded the journal Power and Education. I currently teach on: (i) the University of Liverpool’s Doctor of Education (Higher Education) programme; and (ii) Victoria University’s MTESOL (Vietnam) programme. This chapter relates how two research-based tools enabled the author to become a classroom teacher and to make the transition to a new disciplinary culture. 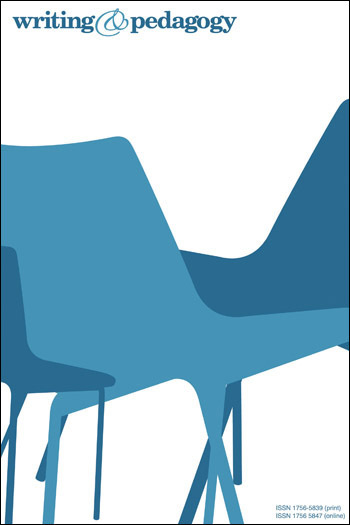 This chapter uses an introspective study to explore the formation of ESL teacher identity. This chapter provides a recount of the author’s first year of language teaching, the teaching contexts and proactive solutions and strategies emploued.